If you don’t have a webcam on your desktop computer but if you own a Android mobile phone then do not worry because there are several Android applications available on the internet to convert your mobile phone into webcam for you PC. 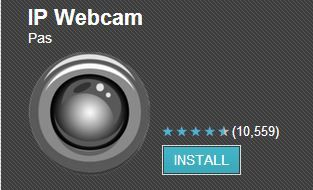 It’s very simple to use your Android mobile as a webcam for free and also the installation procedure is easy. 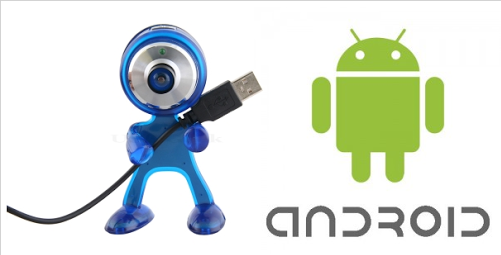 Install the IP Webcam application onto your Android mobile phone and IP Camera Adapter on your Windows desktop computer. Adjust the screen resolution, quality, username, password and other adjustments as per your requirement click on the “Start server” at the end. An IP address will appear at the bottom of your android mobile phone screen.Open it in Chrome or Firefox and select “Use browser built-in viewer” optioon. Choose the best options as per your needs and you must see the video loading in the web browser. If not then try again with the another link. Open the software from windows and type in all the fields required and click on apply when you are done. 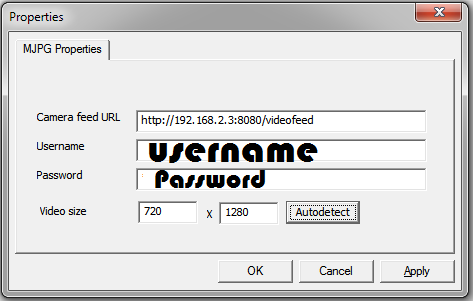 The camera feed URL must be appended with /videofeed at the end of the IP address and click on the “Autodetect” button for the screen resolution. Now open any video conferencing tools like Skype, Google Hangout or Facebook messenger and you must see your video streaming from the Android phone camera on your computer. The application uses the secondary camera of your mobile phone as default and that’s because the secondary camera will have more clarity when compared toward the front facing camera. This entry was posted in softwares on Feb 3, 2014 by Rajesh. its good to know how the evolving technology is doing…………….how can i become a websitedesigner?